Scottish Equity Partners (SEP) said on Monday it has sold its portfolio of onshore wind farms to Pensions Infrastructure Platform (PiP) for an enterprise value of £50 million. Comprising 64 turbines in locations across the UK and Ireland, the SEP portfolio contains all five of the wind farm investments made by the Environmental Capital Fund (ECF), a specialist infrastructure fund managed by SEP. The portfolio ranges from single-turbine sites across the Orkney and Shetland Islands to utility-scale turbines in Curraghderrig, Ireland and the Port of Tilbury in London. Peter Bachmann, Peter Bachmann, a director in SEP’s technology infrastructure team, said: “We are pleased to conclude this sale to PiP. “Over the last four years, we have added significant value to the portfolio through active management and a hands-on approach. 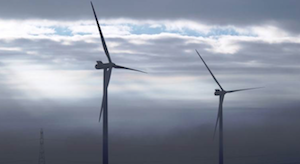 The wind farm disposal by SEP follows the recent high-profile sale of another of the firm’s energy infrastructure investments, Indigo Pipelines.